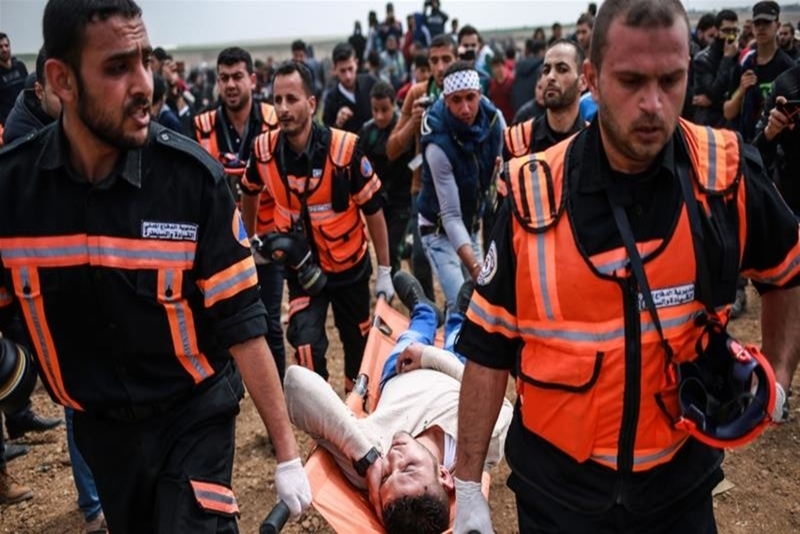 Washington, DC | www.adc.org | March 30, 2018 | The American-Arab Anti-Discrimination Committee (ADC) is outraged over Israel’s use of live fire against civilian and peaceful Palestinian marchers and we are greatly saddened that at least fifteen civilians (as of writing) have been killed and over 1,400 injured by Israeli occupation forces. This morning, thousands of Palestinians in the occupied Gaza Strip joined the “Great Return March” in solidarity with the Land Day demonstrations held across Israel by Palestinian citizens of Israel. Land Day marks the 1976 killing of six Palestinian citizens of Israel, who were peacefully protesting land confiscation, by Israeli forces. The explicitly peaceful nature of the march was advertised beforehand, but the Israel Defense Forces chief authorized 100 snipers to use live fire against the marchers. “The orders are to use a lot of force,” the chief told the Israeli press the day before the march. ADC is outraged that Israel would authorize snipers to use live fire against unarmed civilians. Israel’s callous disregard for the lives of Palestinians exemplifies, once again, the brutal reality of more than 50 years of military occupation and apartheid. Israel will portray its lethal force as “self-defense” and the deaths due to Palestinian “provocation,” but those not blinded by self-serving propaganda will be able to recognize that a nation already oppressing a people cannot engage in self-defense but only repression when those people dare to rise up. And, for Israel, any Palestinian act that dares to peacefully resist occupation and its attendant indignities and humiliations is a “provocation” against its “right” to be the Palestinians’ interminable overlord. There is a high cost to America’s global reputation and interests when U.S.-funded arms are used to kill innocent Palestinian civilians. Moreover, U.S. military aid to Israel violates the Leahy Law which prohibits the transfer of arms to security forces that violate human rights. Numerous Palestinian, Israeli, and international human rights organizations have documented violations, but political pressure has prevented the State Department from upholding U.S. law. It is long past time for the U.S. government to practice fidelity to its own laws and respect human rights in its relationship with Israel.